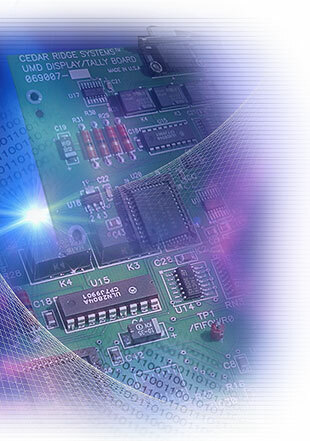 Cedar Ridge Systems is a contract electronics engineering, product development and manufacturing company. We focus on serving the needs of business clients regardless of location. Using our state-of-the-art engineering, manufacturing and document publishing tools and technology, we can help you meet or exceed your product design and manufacturing goals with minimal disruption to your on-going activities. Depending on the nature of your project, we can work independently or with your staff at your facility. Our primary goal is to ensure that your project is completed in a simple, timely and cost-effective manner. You may not need to add regular staff to accomplish your company's goals. We often work with fixed-price or not-to-exceed contracts. We're also available at reasonable hourly or weekly rates. If you are unsure of your project's feasibility, you may wish to work with us on an hourly basis to develop a project plan before committing to a contractual arrangement.